Android's always been pretty good at search - it's developed by the world's biggest search company, so you'd hope so - but one thing that it's always struggled with is searching content on your device, having removed it in Ice Cream Sandwich because the API was not up to scratch. 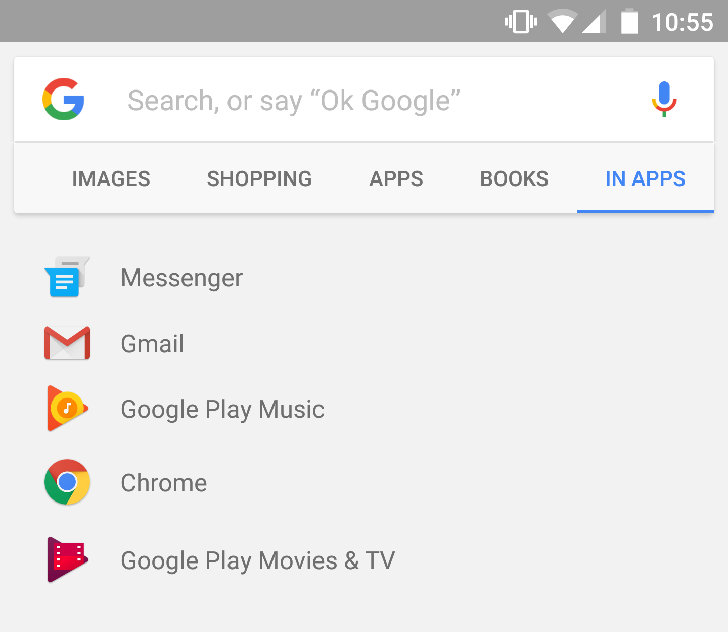 Google is attempting to fix that today with the launch of the new 'Search In Apps' feature, which Cody uncovered part of during a recent Google app teardown. 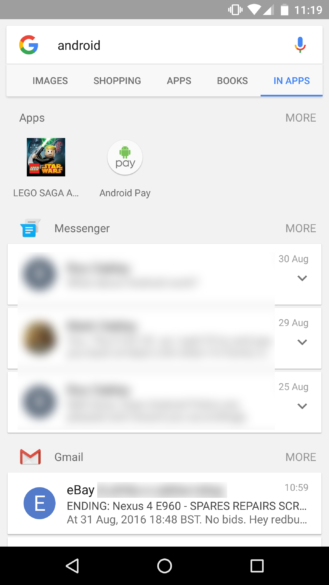 In Apps is basically an extension to the Google search bar. When searching something that's 'personal' such as a name or place, scroll to the end of list of available searches - the one with 'Web,' 'Images,' 'Shopping,' 'Maps,' and more on it. The resulting 'In Apps' list will show results from apps like Google Messenger, Spotify, Twitter, YouTube, Gmail, Google Play Music, and Instagram. More apps are on their way, too: Google says Facebook Messenger, shown in the GIF but not live on devices yet, is coming, as well as apps like Evernote, LinkedIn, Google Keep, and Todoist. 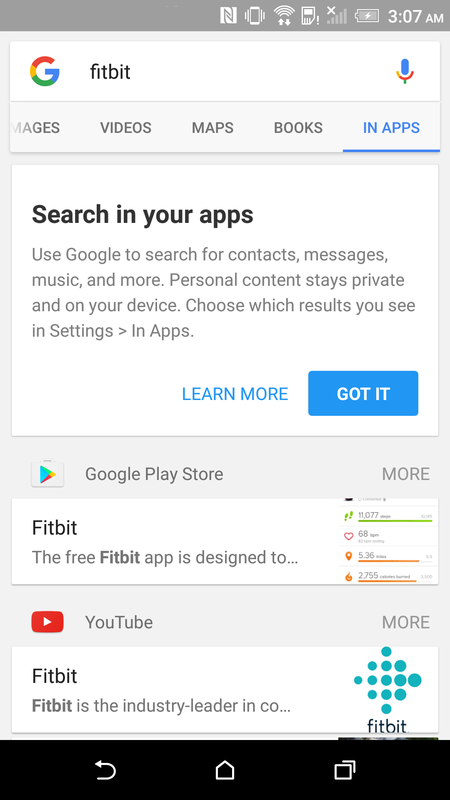 If you don't want an app appearing in the search results, individual apps can be turned off in the Settings menu. The first phone to fully embrace this is the LG V20, which is of course the first phone to ship with Android 7.0 Nougat; in fact, the V20 will get a homescreen shortcut directly for searching in apps, which might be the icon Cody found in the aforementioned teardown, plus the ability to search LG's pre-installed apps. 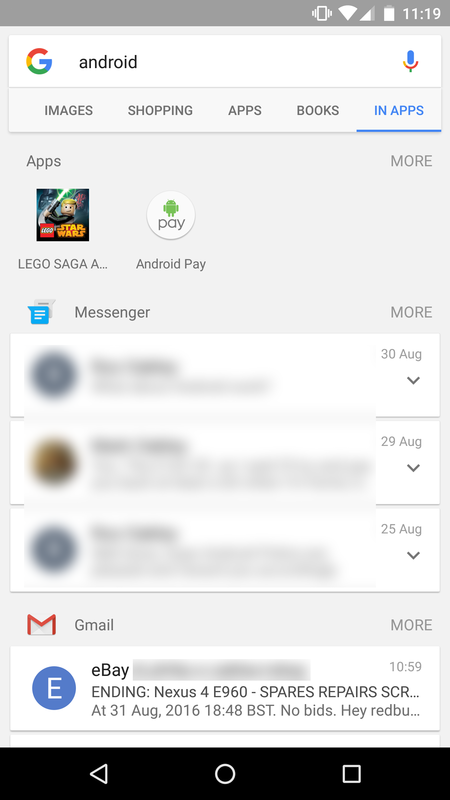 In Apps is appearing on devices running Nougat and Marshmallow, but it may only be live on devices running the beta Google app - it's not very clear at the moment. Members of the Android Police team are seeing new or different search results showing up in the Phone tab, as are users on reddit, but it looks like this isn't the same thing as the results that are in the In Apps tab. The cool thing about this feature is that it happens entirely on your phone - it does not require WiFi or a cellular connection to use, meaning it stays private to you and isn't uploaded as part of the data Google collects on you. 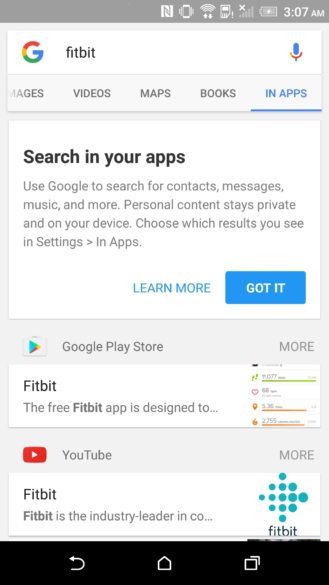 In Apps appears to be rolling out now, so get searching, but keep in mind the confusion mentioned above.